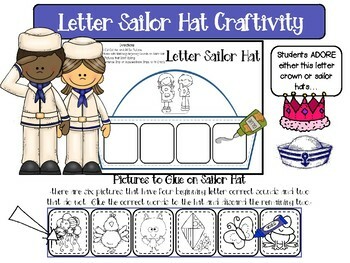 Attach beginning sounds to letter specific crowns and letter specific sailor hats from a page of pictures with the same letter sounds or discard the ones that don't belong. 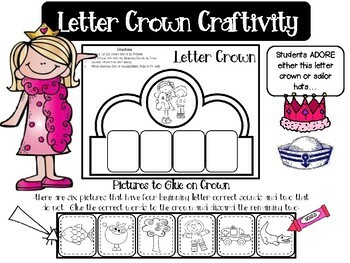 I attach a sentence strip, but I've provided strips as extenders so students can wear them around the head. 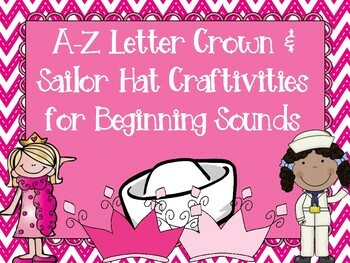 These are provided from letters A-Z and each crown or sailor hat holds four beginning sound pictures and two discards. My kiddos LOVE these and I hope yours will too. 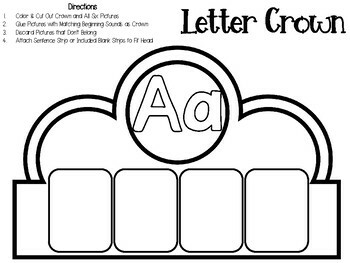 Please don't purchase if you have my A-M & N-Z Letter Activities Bundles as they are all included in these packs. Please don't hesitate to ask any questions or have concerns as I'm happy to help in any way I can!